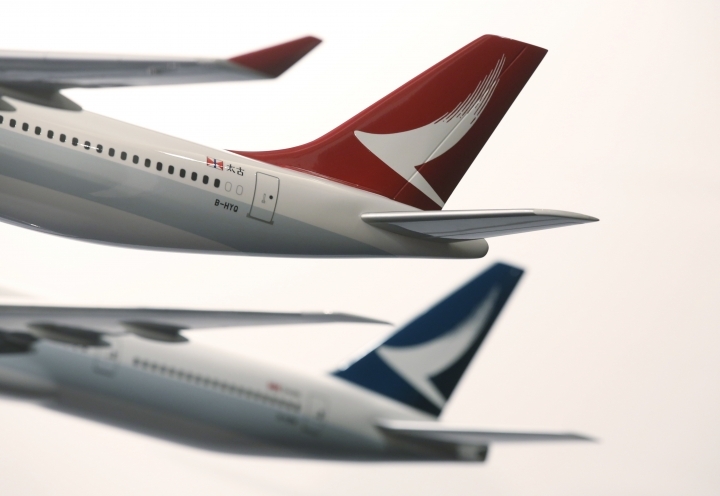 HONG KONG — Cathay Pacific Airways said Monday it's laying off nearly 600 staff at its headquarters in its biggest round of firings in two decades as it faces rising competition from rival carriers and tough business conditions. The Hong Kong airline said it plans to axe about 190 managers, or a quarter of all the company's management jobs. It's also eliminating the jobs of 400 workers in non-managerial roles. Cathay said in a statement that frontline workers, including pilots and cabin crew, would not be affected, but "will also be asked to deliver greater efficiencies and productivity." Hong Kong's largest airline is making its most sweeping overhaul since 1998, when it slashed nearly 800 jobs amid the Asian financial crisis. Cathay is making the cuts after it reported a $74 million loss in 2016, its first annual loss since 2008. The company blamed the poor performance on intensifying competition from both Asian budget carriers and mainland Chinese airlines and the slowing Chinese economy, which crimped travel demand. CEO Rupert Hogg said in a statement the company had to make "tough but necessary decisions for the future of our business." "Changes in people's travel habits and what they expect from us, evolving competition and a challenging business outlook have created the need for significant change," said Hogg, who was promoted to the position earlier this month as part of a three-year corporate overhaul. The airline, which employs 16,500 workers in Hong Kong, said most of the layoffs will be completed by the year's end.